(*) You have to pass the cursor over the objects. A table for A House Divided was added. A table was replaced by one for Heart of Darkness version 3.01. Thanks go to CompactDisc for testing the table. 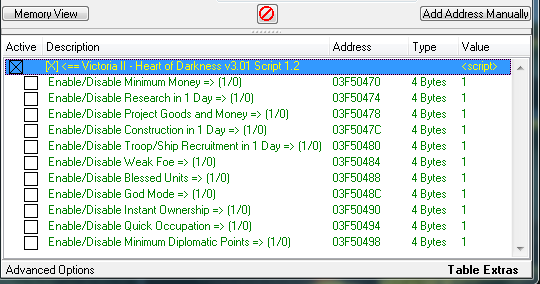 A table was replaced by one for Heart of Darkness version 3.02. Thanks go to Nsinger998 for the link to the patch and for testing the table.